Welcome to Randy In Real Life hosted by Randy Goudeau (that’s me!). My goal here is to encourage, challenge, and inspire people. Also be on the lookout for some amazing interviews with some incredible people from around the globe! 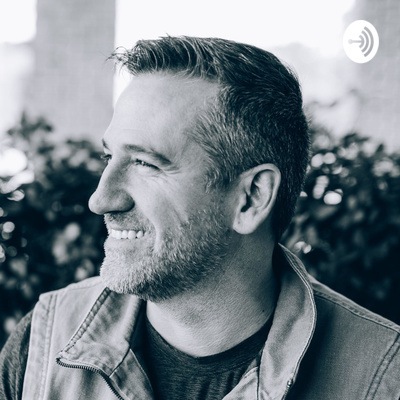 I was excited to have Pastor Paul Floyd come and sit with me for the 2nd half of our interview, but honestly did not expect to be rocked by 3 words he uses to guide every major decision in his life. I forgot I was interviewing him for a little while as I was busy writing over a page of notes. Simple, easy to remember, powerful if implemented. This could possibly be one of the most encouraging things you will hear, and I hope it blesses you as much as it did me! Have you ever felt intimidated when it came to sharing your faith? Perhaps you've desperately wanted to be used by God to reach others, but simply lack the confidence. Maybe you are like the vast majority of Christians in the United States, and feel you've done your best by showing up to a building on a Sunday morning for 2 hours each week to sing some songs and take some notes (that you will most likely never look at again). Come take a ride over the next few weeks as we explore two subjects that tend to be forgotten, overlooked, and unnecessary in the modern church; Evangelism and Discipleship. Today's question is one that many people have wanted to ask, but few ever do. How can I stop sinning? And not just sin in general, but the same habitual sin. Do I just accept that it will always be this way for me? Can I really win this battle? We're going to look at a couple of things, one of which you've probably never heard before. Afterwards, I have a brief word of 'caution' for some of our young (in the Lord) friends out there! Today I have my first ever interview on this podcast, and it is with my close friend, Paul Floyd. We had so much fun and most of the content was completely unplanned (especially when I open by asking him about his former life as a gangbanger). I know that you will be encouraged (and laugh some) as you hear what turns into a powerful conversation. This is part one of a two part interview. This is a special episode that I kept very short. I address some of the controversy and drama circulating in American Christianity, and even go so far as to say some names. At the end I give an extremely powerful action step that you don't want to miss. Today's episode kicks off with a crazy (yet very true) story of something that happened quite a few years ago. You may laugh, cry, or even get angry as I share this very true (I already said that, right?) event. Afterwards, we look at a passage of Scripture that contains one of the most insanely incredible verses that I have never heard anyone mention or preach. Q&A: What Does the Bible Really Say About Speaking in Tongues? The subject of speaking in tongues is by far one of the most controversial of the last few generations. Well meaning Christians are strongly divided over whether or not it is: legitimate, of God, for everybody, necessary, and/or available for today. It is time to do something very bold in our era: open up the Bible and let it speak for itself. We've all heard the opinions of men, but now more than ever we must move to the most trusted source as we search the Scriptures and see if these honest and valid questions have an answer. If speaking in tongues is not for today, then let us move on without delay! However, if speaking in tongues is very real and very much for today, we should be asking two questions; Why so much silence in the church, and what do we do now? Q&A: Is Speaking in Tongues Legit? In today's Q&A we begin a discussion on a very controversial subject; speaking in tongues. Sadly, too many churches have been mostly silent about this topic for far too long. Over the next few weeks we will unpack plenty of Scripture as we explore what was 'normative' (fancy word we will discuss soon) for the Early Church, confront some common errors in the Spirit-filled community, investigate various gifts of the Spirit, and hopefully inspire you to draw your own conclusions based on the Word of God. There has definitely been a shift from a Pentecostal/Charismatic expression of Church to a more Seeker/Attractional one. There is no easy explanation (regardless of what some people say), but there are plenty of things we can look at, both good and bad, from these 'camps'. Today I talk about one of the reasons the church is VERY imbalanced in the United States, and how it can become healthy again. We're going to break down some simple truths that I believe if implemented would help the Church become a powerful force again. I also go on a tiny rant and use an illustration that at one point may make you laugh (or judge me). Today we begin a 2-3 week series within our Q&A segment discussing several strong questions that came in on Facebook. These are questions that a lot of people have asked and are asking. Why have churches moved away from Pentecostal/Charismatic expressions to a more Seeker/Attractional model? Why are we messages catered to surface level self-help lessons? Why do churches time everything to a tee? Put on your seatbelts, the next few weeks are going to be quite a ride! Today someone asks why we are only seeing Revival in a few places. We look at this question from a few angles, as well as briefly speak to some of the critics of Revival. This question should also cause us to ask some other questions. We are witnessing at an unprecedented rate the downfall of many public figures today. Things unthinkable are being exposed and found out to be true. But how are we going to respond when exposure comes to our house and our secrets are out? On this episode I want to challenge your perception of what true Revival really looks like. Some strong (and maybe a little controversial) statements are made (in love) to grab your attention and help us see what Revival is and how we can have it right now. Welcome to my first Podcast! Intro to first Podcast, brief bio, and one of the greatest secrets I learned.